Buddies® Torpedoes Cone Tubes are perfect when you’re on the move!. They are odor proof, air tight and leak resistant. With the internal airtight moisture resistant seal a consistent level of humidity is optained. 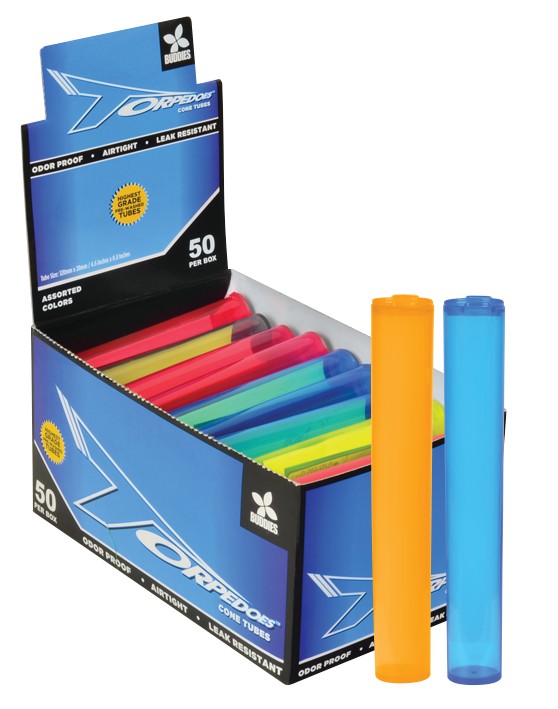 Torpedoes Cone Tubes are durable,lightweight and the plastic is pre-washed. • Variety of colors available.